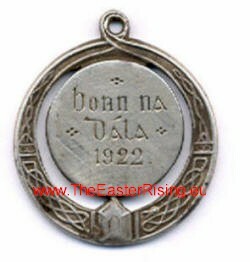 The 'First Dáil' was an extra-legal assembly established by Sinn Féin MPs elected to the House of Commons in the 1918 UK General Election. 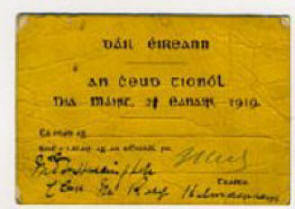 Upon winning a majority of Irish seats in the election (many uncontested), Sinn Féin MPs refused to recognise the British parliament and instead convened as the First Dáil Éireann in the Mansion House Dublin. 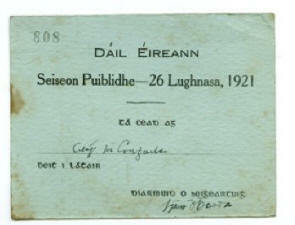 First Dáil: Permit or ticket allowing bearer (unnamed) to attend the first assembly of Dáil Eireann on Tuesday 21 January 1919.